While I begin to type this post, I worry that it may come across as 'moany' or almost 'ungrateful' but that is not my intention. 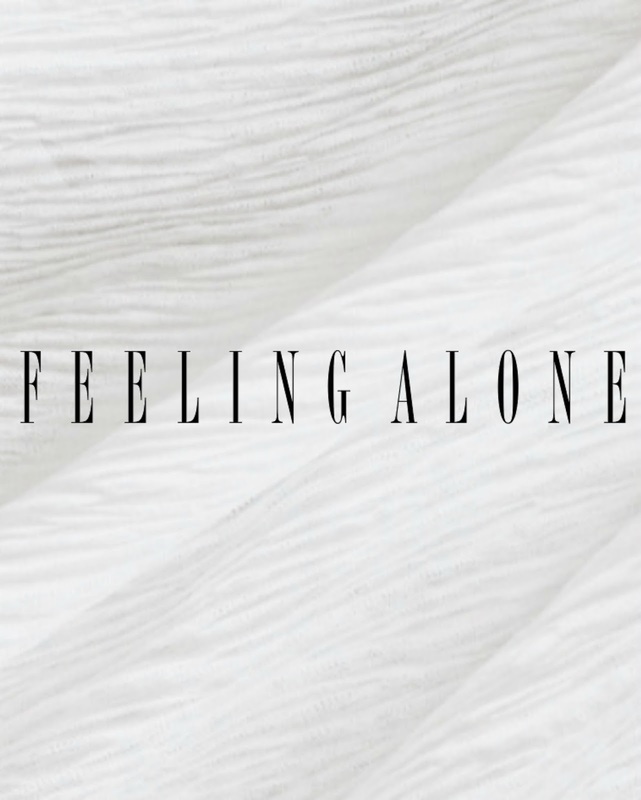 Being in the situation that I am currently in - not in education and focusing entirely on blogging - my life can sometimes be incredibly lonely. I have brilliant friends in my life, don't get me wrong, and my family are so supportive... But when you don't get to spend everyday together like you used to or things prevent you from going out etc etc, it's hard to not feel like you're missing out. It's not that I don't get invited to places sometimes, I do, but there are somethings which I just feel like I can't do.. and I hate that. I see photos and snapchat stories of people out with their friends drinking, laughing, having fun and I think 'Why am I not doing that?' or even when I think about college... I think about all the new friends I could have made or the fact that I would have just finished my first year of A levels and I just feel kind of ..pathetic. A few months ago, I thought that I would have my life sorted by now, but I still feel like I'm floating in this abyss and I'm quickly falling behind everyone else. No matter how hard I try, I just can't seem to pull myself together fully.. If one thing is going fine, something else goes wrong. I spend a lot of time alone and to be honest I don't mind, I like my own company. But I just miss being able to socialise and knowing who or what my friends or talking about. I often just question 'Why did it all happen?' 'Why did I drop out of college?' 'Why are you so alone?' and that's when everything begins to feel like one huge mistake. I feel so alone and out of the loop and I can't seem to get my head around what to do. I feel like if I had stayed at college then I'd see my friends everyday, I'd be getting an education and I'd feel better. However, I also know that if I had stayed, there is no way that my blog would be the way it is now and I know that I wouldn't cope. At college or work, people have others around them to interact with, I don't have that. I just miss seeing people in person or making conversation and knowing what's been happening. I do try and get out the house as much as I can, going for little walks or shopping/cinema trips, but it's so easy to let my feelings overwhelm me. My blog is my little dream and stands for who I truly am and what I love.. I am person underneath however, not just an image in a photo, and I sometimes feel incredibly alone doing what I do now. It is lovely to read your comments and talk to you guys on social media, it makes me feel so appreciated and thank you for that, it does help with things. I am very proud of my blog and so happy that I bit the bullet and created it but it takes a lot of time and a lot of effort, so It's hard to not get lonely. I don't really know what this post is.. I just kind of wanted to vent a little. If you've read this far, thank you and If you ever need someone to talk to, know that I'm here. Such a brave post beautiful, I don't take this as moany at all, I take this as honesty! I am the same as you to be honest and I feel SO lost with my future right now!